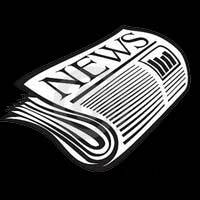 A Message From the 1st Vice President – September 2017 | F.F.A.M. Wow how time flies. 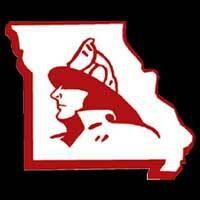 By the time you are reading this not only has the Missouri State Fair come and gone and the Missouri State Fair Fire Department (MSFFD) members have assembled, served and returned to their normal lives, but summer itself is almost a thing of the past. I hope each of you had the opportunity to enjoy family and friends throughout the summer. 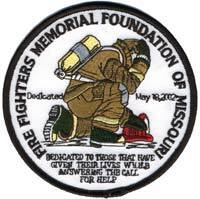 I also thank each of the men and women who took the time to serve on the MSFFD providing service to all visiting the fair grounds. 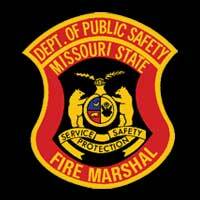 You provide a vital service and showcase the true spirit of Missouri’s Fire Service in all you do. My thought for this edition is one of respect. Now most of us understand the dictionary version of the word respect. Webster’s definition includes: 1. To take notice of; to regard with special attention; to regard as worthy or special consideration; hence, to care for; to heed. 2. To consider worthy of esteem; to regard with honor. With that being said do we all really take the extra time to show that respect on a regular basis? How do you think lack of respect affects the fire service? Is it possible some aspect of respect could have a relationship with our recruitment and retention? We all generally learned, or at least have heard, that we should respect our elders. If you give that much thought…we really should. If it wasn’t for your elders, or those that have gone before you, none of us would be here. Not only is this biologically true, but as a career, as a whole it is true. Had it not been for the tireless commitment by our elders the fire service could just as easily have been a thing of the past or certainly could have still been stuck in the past with what we see today as archaic methods and equipment. Can you imagine still physically pulling your hand pump fire engine to the scene and then performing your firefighting duties without a stop at rehab for evaluation and hydration? Hang on all you Millennials and non-elder people, this is not an “our generation was the best” speech I will get to the respecting you part in a minute. While we look at our rich history we should respect what those that went before us accomplished and take stock in how that affects what we do today. In turn we should also think about the fact that what we are doing will affect those that come after us. So showing a little respect to our history is actually pretty important, but respecting the future is in many ways more vital at this point in our careers. Before I go further let me speak directly to the “elders.” During several recent conversations I have been involved in discussion has centered on the Millennials and other “labeled” generations and the bleak outlook for our society due to these so-called blights on society. Take a look back and consider how your particular generation was viewed by the elders. It sometimes is a bit scary to think that our respective generations were labeled as “the end of civilization as we know it”, but somehow the world has kept on turning and our society has not ended. So if we have learned anything, or even held a small sample of our elders with the respect we should have, we should know by now that we should respect the generations following us, as they are our future. So now I have stated that the young or new should respect the aged or older in the profession, and the aged or older should respect the young and newer members of the profession. 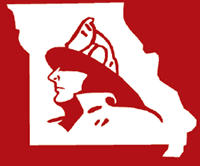 We each have a contribution to add to the fire service and by providing the much needed respect from person to person, department to department, or generation to generation we can keep the fire service in the forefront as the leaders in organizational effectiveness. Change for the good will not happen without respect, but it is almost certain that a lack of respect will lead to changes not always viewed as favorable. We must all realize each “generation” does things differently and we must learn to respect those variations. To show respect one does not always have to be friends with, hang out with or even like everyone. Over the years in my various careers I have absolutely loathed some individuals and likely wouldn’t have gone out of my way to have contact with them, but I have respected the part they played in what was taking place. We don’t always agree with those holding positions such as president, chief, board member, company officer or firefighter, but each of those positions should be afforded some respect just as you would expect respect from others who don’t agree with you. Keep in mind respect is not just aimed at people. How many times have you made the comment after hearing some news story, “the person involved just doesn’t have any respect for other’s property or they wouldn’t have done that?” If you have made that statement or had that thought even once then you have some basic respect built in to you that you may not have even realized. It has always been a mystery to me to see how some people treat other’s property or even the equipment they are provided to perform their job. Look at the parking lot at the station and see who has the most clean, detailed and pristine vehicle and then see if they are the last one that volunteers to or even takes part in cleaning your apparatus. See that member with the impeccably ironed and styled clothes, but look at the turnout gear that is soiled, torn and in general disarray that was assigned to them. Showing a little respect and taking care of what we have can add miles to a budget. When you are out trying to recruit new members or are working hard to keep current members engaged in the department have you considered how they view the respect level for your agency? If you appear to be an agency or individuals about a half step ahead of the old “Three Stooges” shows (look them up on YouTube if you are not familiar) is there any question why we struggle to get new members or lose our current members. The manner in which our agencies or our members are afforded respect in the community has a direct impact on both recruitment and retention. At the same time are we as an agency taking the time to respect the needs of potential recruits or our current members or are we simply saying, “you must fit into our cookie cutter style profile or you will not be accepted?” There is no easy solution to strike a balance between the needs of the agency and the needs of the individuals involved, but if we do not learn to show respect in both directions we are likely starting the paperwork towards closing an agency/station due to lack of staffing. Of course the full circle in this thought brings us back to you. Each of us as an individual has the opportunity to show respect and to earn respect. Each of us also has the ability to act in ways to ruin any respect others may have had and to do nothing to earn the respect that we all, whether you want to admit it or not, strive to achieve. Take a moment and reflect on where you are and where you are headed and remember to respect what you encounter along the way. If I can be of service to you never hesitate to contact me.